Alan Dean Foster writing Alien: Covenant prequel novel, not sequel novel? Last September we revealed that Alan Dean Foster would be returning to the world of Alien literacy with a novelization of Alien: Covenant. The month after, Titan Books announced that he would also be writing a sequel novel. It looks like that may no longer be the case. In Alan Dean Foster’s initial announcement, he mentioned that he was also working on additional “unique original material” that many assumed to be the sequel novel that was eventually announced. A representative of Alien vs. Predator Galaxy spoke to Mr Foster who confirmed that he was only working on a prequel novel, not a sequel novel. We approached Titan Books for clarification but they were unable to comment at this time. Will we be seeing more of Shaw and David in Alan Dean Foster’s Alien: Covenant prequel? While we have no further details at the minute, with a ten year gap between the events of Prometheus and Alien: Covenant it’s likely Alan Dean Foster’s prequel will be visiting those earlier years and revealing what David and Shaw were up to in those intervening years. The sequel novel is still available for pre-order on Amazon with a release date of September 26th so it’s possible the sequel is still coming but under a different author. The novelization is currently slated for release on the 23rd of May, the week after Alien: Covenant’s release. Alan Dean Foster to Write Alien: Covenant Sequel Novel! Alan Dean Foster to Pen Alien: Covenant Novelization! Well yeah, I don't dispute that. I do wish they'd "re-canonize" some of the old stuff, like Star Wars has been doing with its old EU. Fair point. And completely true. However, my understanding is that all the new media being released from now is apparently considered canon and being done with the intent of working cohesively with the rest of the canon. Just making the point that FOX doesn't necessarily release (or re-release) things because "they're canon", rather they release things because people will buy them. Very excited about this novel indeed. More so than the adaptation. I wonder if it will be considered canon.. I would certainly hope so, if not why would they even bother releasing it. The prequel novel would likely be considered canon, yeah. So did I. I'm not massively surprised. I thought a sequel novel was odd in the first place. A prequel makes more sense judging from the huge time gap between Prometheus and Alien: Covenant. I had a feeling it would only be a prequel. Looks like the sequel novel has gone from Amazon and been replaced with the prequel. I don't think we'll be seeing a sequel novel. For me it make sense to give the audience the back story before they can go into Covenant. I hope they do the logical thing in this situation. Well, logically they would release a prequel book shortly before the movie comes out. Who knows if they will be logical, though? I hope Titan Books releases the prequel novel a week before Covenant comes out? I'd like to know the story of Shaw and David beforehand. Ok so if its a sequel, then why? is it Ridley isnt capable of doing two more or the story in between needs to be told but isnt movie worthy and so we can jump to the third and last movie, the budget Ridley will get depends on the succes of Covenant? I understand the idea of Prometheus sequel book since Covenant will be released soon. Fair enough. But official sequel book to Alien:Covenant? I don't get it. Obviously (or maybe not?) this book will explore what happens after Covenant. What about the movie then? There was, but it only came out in Japan. What's the point of writing Prometheus novelisation only in Japanese? I am really excited for this prequel. I wonder if ADF will be using material and ideas that Ridley may have had but decided not to go with. I am just listening to the audiobook versions of his Alien novelisation. Really loving it. Never read any of them before so once I am do I'll read or listen to the rest. Not sure about that yet, Buddy. One was definitely on the slate and one is still listed on Amazon without ADF as the author. So we'll see. oooo thats interesting, wonder whats going on there? A prequel, an adaption, and a sequel written by a different author. This is fantastic news. So i guess ADF is doing, what Ridley probs originally planned as Prometheus 2 back when he had that idea, before he changed and went the Covenant route. ADF is writing the prequel and the adaption, as far as I know there are no plans for a sequel novel. 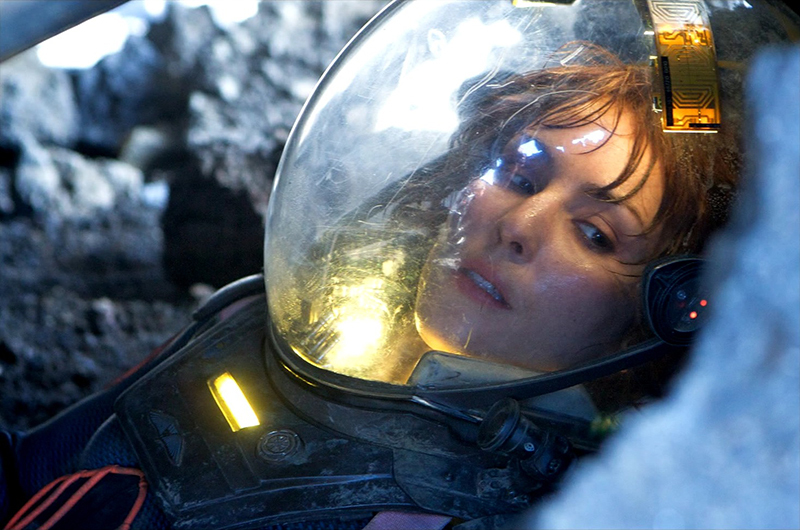 Anyone thought that this 'Covenant' prequel COULD be the 'Prometheus' novelisation we never got? I read Aliens before watching it as a kid. Couldn't put Alan Dean Foster's book down. This will be the first Alien universe book that's not a film that I'd like to read. Having Alan Dean Foster do it makes it the real deal for me. This is good news, I'll definitely be picking this up. Bit of a let down that Shaw and David's story of the arrival on Paradise to confront the engineers is condensed for Alien Covenant, but at least this novelization will shed some light on these events. references to the Deacon or to David finding info about the xenos from the Engineers ruins. Maybe we'll find out where the eggs come from, too. It's quite logical and a novel is a perfect way to tackle, if it's the case, the history of Shaw and David before Alien Covenant. Am I to understand that this would be the story of what happened at the end of Prometheus until the beginning of Covenant? That sounds pretty interesting and could go a long way towards answering questions that might never be mentioned again in the movies. It would be awesome if the story picked up with Shaw and David exploring one of the other facilities to find a ship, and what they might discover. I was hoping this would be the case when the news first broke as writing a sequel to the film didn't quite fit. Good stuff! Good, maybe somone can press him to find out if we will know fate of Shaw! !